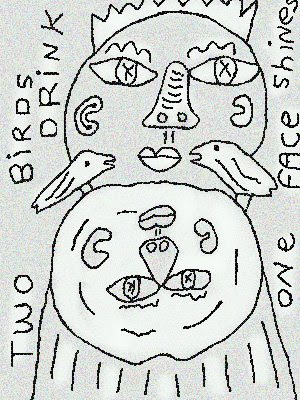 Diaristic Notations: Two Birds Drink . . . I left a very special place in Austin today and saw these two birds drinking from a bubbling fountain. I looked in the water and saw one face shine. In Wisconsin they call them bubblers as well.